We're suckers for a good DIY project (as if you didn't know). 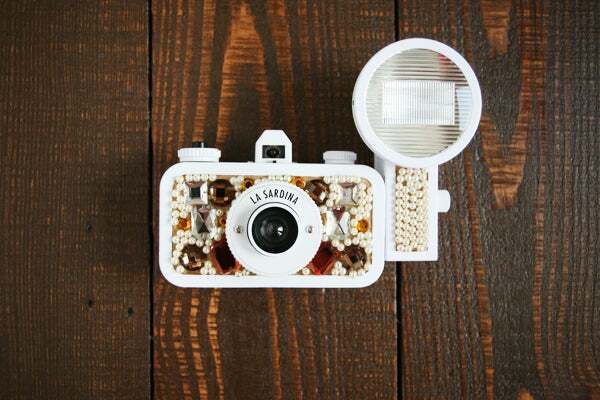 So, when R29 Shops partnered with Lomography to offer up the DIY edition of its rad La Sardinia camera, we couldn't wait to get our mitts on it. 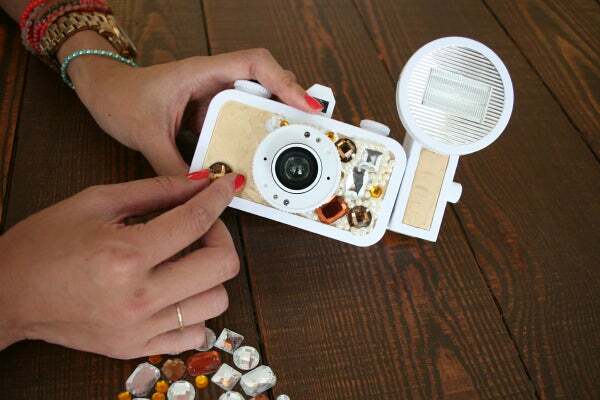 Paint it, glue it, draw or write on it –– you can pretty much craft this camera however you like. We decided to go luxe and do a little bedazzling –– because sparkly, shiny things are always super fun to look at. A bottle of metallic paint and a handful of gems later, we can't help but smile when this blinged-out beauty is pointed in our direction. Want to craft your own? Read on to get the full how-to. Click through for the rest of the DIY! Step 1: Using the small screwdriver, unscrew the two screws on either side of the lens. We only need to take off the first lens ring for our purposes, but the camera is designed so you can take apart the whole thing — frames and all — for more complex designs. See the how-to here. 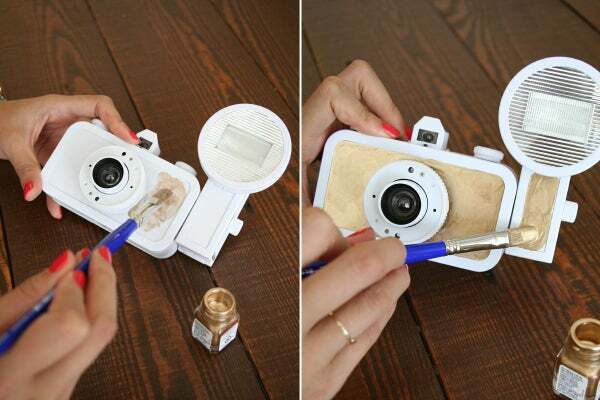 Step 2: Start painting the camera surface, being careful to avoid frames. Remember you want to have a nice solid metallic background, but don't worry if it's not perfect –– you'll be covering the majority of the surface area with all of those sparkly gems, anyway. Step 3: Wait for the paint to dry completely. 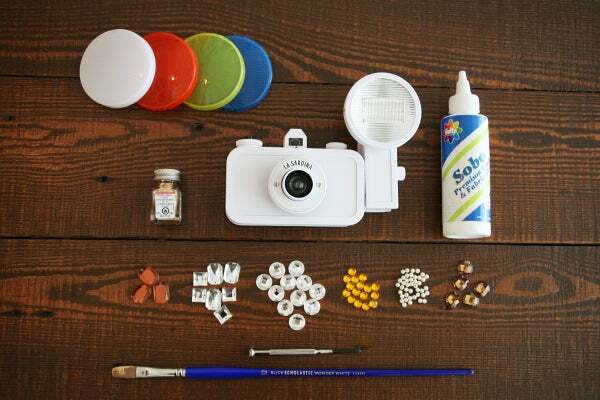 Then, start gluing your gems onto the main surface of the camera, alternating size, shape, and color. 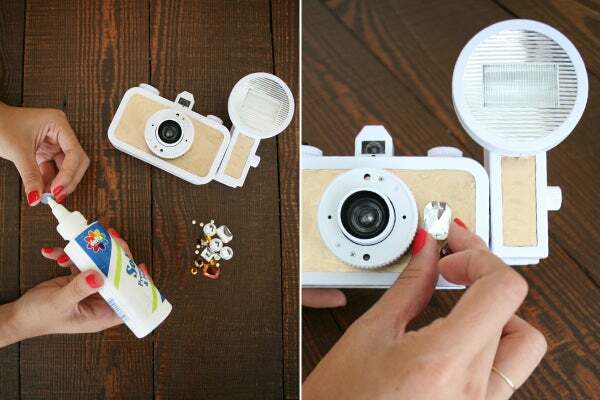 Step 4: Continue gluing the gems onto the camera, and fill any small areas between gems with pearls. Step 5: Cover the surface below the flash with glue, and start filling the area with pearls. 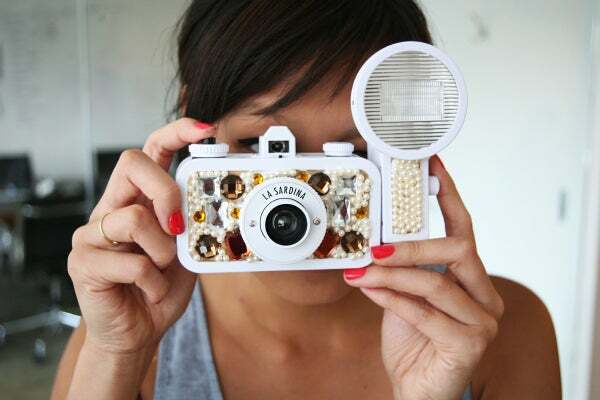 Step 6: As soon as the glue is dry and the gems are set, you're officially the owner of a rad blinged-out camera. Easy, right?